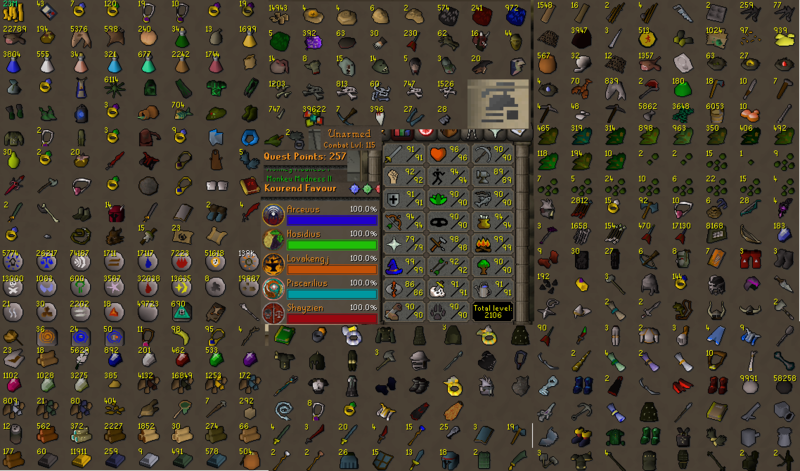 OSRS Ironman account combat level 115 ID#20181023LWSB115 - RuneScape Accounts,RS Accounts,Buying Runescape Accounts,Buying RS Accounts,Cheap Runescape Accounts,Cheap RS Accounts. OSRS Ironman account combat level 115 with 91 attack, 92 strength, 91 defense, 94 ranged, 99 magic, 94 agility, 90 theiving, 91 slayer, total level 2106, quest points 257 with MM II done. come 23M cash. total bank wealth around 400M. its a very nice bank. and the membership will be ended on Jun 2019. great ironman account. check screenshots you will see.